With the recent adoption and rapid entry into force of the Paris Agreement on climate change, it is critical for countries to have credible systems in place to account for and report on progress towards meeting their national climate commitments, known as nationally determined contributions (NDCs). WRI’s Tracking and Strengthening Climate Action (TASCA) initiative provides governments with the tools and resources they need to track the implementation and effects of their NDCs and the underlying policies that support them. The project also identifies further opportunities for countries to curb emissions, enabling them to take on more ambitious climate commitments in the future. This will provide countries with the confidence to enhance and update their NDCs. Enhancing countries’ domestic capacity to track and strengthen their climate actions will also support the implementation of the international transparency provisions of the Paris Agreement. Countries that participate in the project activities will strengthen their systems to track the implementation and effects of their NDCs, be better able to report their results to domestic and international constituencies and be better placed to prepare future NDCs. In addition, the lessons countries learn through the project will be shared with the UNFCCC Secretariat and with Parties to inform the development and implementation of tracking and reporting processes under the Paris Agreement. 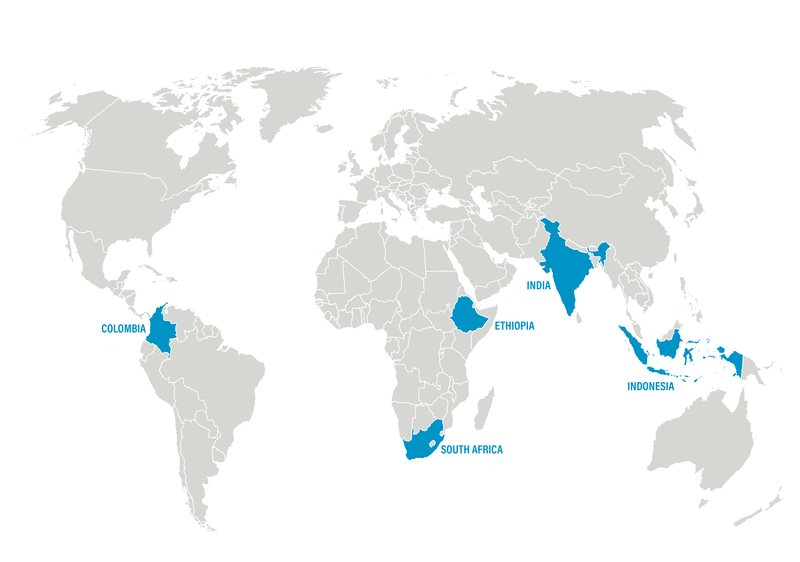 The project is in various stages of developing work strategies in five countries to strengthen systems to track progress toward tackling climate change: Colombia, Ethiopia, India, Indonesia, and South Africa. The initiative’s activities in each country are determined through in-country scoping and are designed to meet countries’ specific needs and priorities. Activities will be undertaken in collaboration with the responsible ministries and government bodies, technical experts, and representatives from civil society and the private sector. In addition to the project countries, the project authors global research and organizes events open and available to all countries.